One project I wanted to start during this season was making my own prayer journal. But I wanted to make this project a “do it yourself project”. I wanted to take my time, step by step and enjoy the process. 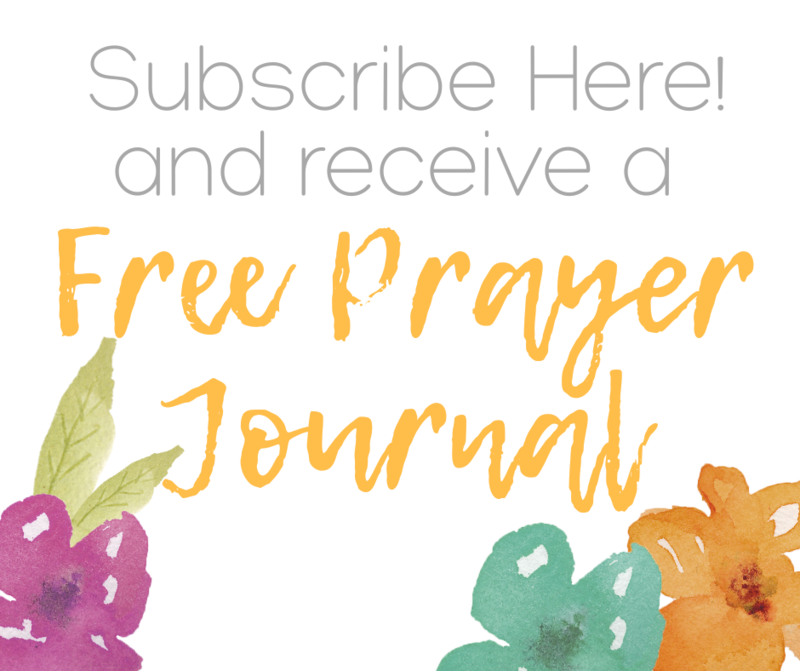 While I work in this prayer journal I want to share with my readers the process and how I’ve been doing until I finished. 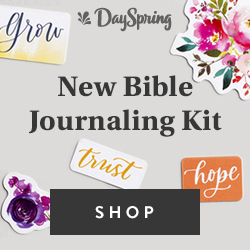 So, here is a little bit about how you can make your very own prayer journal. First, I started decorating the front of the journal. What materials I used? I got a notebook at Dollar Tree for $1 on my last trip to Orlando, Florida. Isn’t that amazing? To find so many things at super low prices at the Dollar Tree Stores? Well, once I got my notebook… I found on Pinterest a free printable for bible journaling and got an extra sheet printed at my local school supply store to decorate my journal. I found out this printable so lovely and beautiful that I decided to use it for my journal. I bought an assorted patterned paper pack at Yarisi&Co, that I wanted to get for a long time ago. Finally bought them! This pack comes with more than 50 assorted papers (different patterns and sizes) perfect for crafts projects. I had some washi tape that I also used to decorate the journal. The tittle of my prayer journal is “Jesus, my first love”. Oohh… I also used some stamps at the end from Illustrated Faith too. The bible tabs I used includes words like “love, passion, believe…” I thought they were very aligned with what I wanted to create. I just love the final touch they gave them to my journal. As you can see, this is just the front of the journal. In the following posts I will sharing the other pages and how I decorated them. Stay tuned for the development of this project. Hope this motivates you to create your very own prayer journal. Also, I hope this gives you some ideas on how to start it. Most of us tend to make plans in the beginning of the year, and that is good. But some people just let God out of their plans. We start planning every month, expectantly waiting that every goal could be achieved as planned. Our God is one of planning and He makes the bests plans. Why not take the first step this of putting all of our planning in God’s hands instead? We are starting the year and we still have time to do it. How we can put our plans in God’s hands? Praying: presenting in prayer every plan or goal we have in mind is the best way to do it. Asking for His will to be manifested in them. Even, asking for His approval. Guided by the Word: we have the best book full with wisdom, where God speak, teaches and guide us in every detail of our lives. May He grant you your heart’s desire And fulfill all your plans. ~‘For I know the plans and thoughts that I have for you,’ says the Lord , ‘plans for peace and well-being and not for disaster to give you a future and a hope. A man’s mind plans his way [as he journeys through life], But the Lord directs his steps and establishes them. Are you letting good take control of each one of your plans this year? The bible says that Abraham was the father of the faith and that he “believed hope against hope”. For some people the year 2018 was full of accomplishments. For others it was a year of continually keep hoping for the promises of God to be materialized in their lives. The good thing is that God gave us a new year, a new time to keep believing in His promises like Abraham did “hope against hope”. As the Word of God says that he accomplished the promise. Here there are, 5 bible verses on Hope that will guide you and me this new year to keep believing. For I know the plans and thoughts that I have for you,’ says the Lord , ‘plans for peace and well-being and not for disaster to give you a future and a hope. Such hope [in God’s promises] never disappoints us, because God’s love has been abundantly poured out within our hearts through the Holy Spirit who was given to us. May the God of hope fill you with all joy and peace in believing [through the experience of your faith] that by the power of the Holy Spirit you will abound in hope and overflow with confidence in His promises. But as for me, I will wait and hope continually, And will praise You yet more and more. I wait [patiently] for the Lord , my soul [expectantly] waits, And in His word do I hope. We can rest, hope and wait expectantly in God’s promises because he never fails or lie. He has good plans for us, He never disappoint us! Put this new year in God’s hands, believe and He will do. How to replace anxiety with peace. Anxiety is a feeling and it’s very common in our nature. However, anxiety can be dangerous if it’s not treated correctly. There are many options in the world like psychologist or psychiatrists many people look for help. Looking for help is the right thing to do, but we must seek guidance and help in the word of God. In the bible and in our relationship with God we can find the solution to this problem. Let’s learn a little about how to replace anxiety with peace. Anxiety is the equivalent of not trusting God. And in this verse we are called to not be worried about any thing. Nothing should be worrying us. Now, all the circumstances around us can lead us to that state if we don’t take care of it. When Paul says “anything” he means nothing without restrictions, no possibilities, no spaces, NOTHING! Do not be anxious or worried about anything, but in everything [every circumstance and situation] by prayer and petition with thanksgiving, continue to make your [specific] requests known to God. We come to presence of God with prayer (that is our way of communicating with God, vital part of our relationship with Him). We express our petitions accompanied of thanksgiving (that is our way of asking God for His will to be done in us). Then, we make our requests known to God in a specific way. All of this is part of an active life of prayer, we speak… We express… We make requests… We give thanks. This provides to us an outlet for anxiety. We liberated ourselves, we left the heavy burden that from the beginning we should not have carried. And instead of this, we receive peace that surpasses everything. Even if you are in the middle of the storm. May this be a way for all us who are in Christ to replace anxiety with the marvelous peace that ONLY God gives us. Here is a little reminder, you can use this beautiful image below as a wallpaper for your phone or tablet. It’s free! Just copy and download to your device. Its 3:06 am and while I should be sleeping, I am here meditating in God’s word. Have you been talking to God recently? You know, sometimes the circumstances around us drained us, misleading us to other places rather than God’s presence. The way of the Lord is best, the guidance and lead of God in our lives is necessary. And, for that there must be a relationship with Him. More than writing a post about a review, or about things I like, or about a few bible verses we should read, I’m here writing about some encouragement for you, because I have been encouraged by Him. Behind every blog there is a human being writing content to uplift others. That person also need some lifting up too. While I was reading the book of Psalms I went directly to Psalms 139. A Psalm of David about God’s omniscience and omnipresence. It’s a powerful psalm about how God formed us, knows us, cares about us and lead us in the right path, because He already knows everything. O Lord , you have searched me [thoroughly] and have known me. You know when I sit down and when I rise up [my entire life, everything I do]; You understand my thought from afar. Knowing and internalizing that God knows everything about gives me peace. Gives me rest. Gives me a real and clear understanding about God’s character. I know that if you read this Psalm right now, you will receive peace. And even, your thoughts about yourself can change drastically. Because if there still a small amount of doubt about our existence and purpose in this life, clearly and powerfully that doubt will go away. For You formed my innermost parts; You knit me [together] in my mother’s womb. Wherever there is a bible, a good book and a cup of coffee probably there I am enjoying that moment. 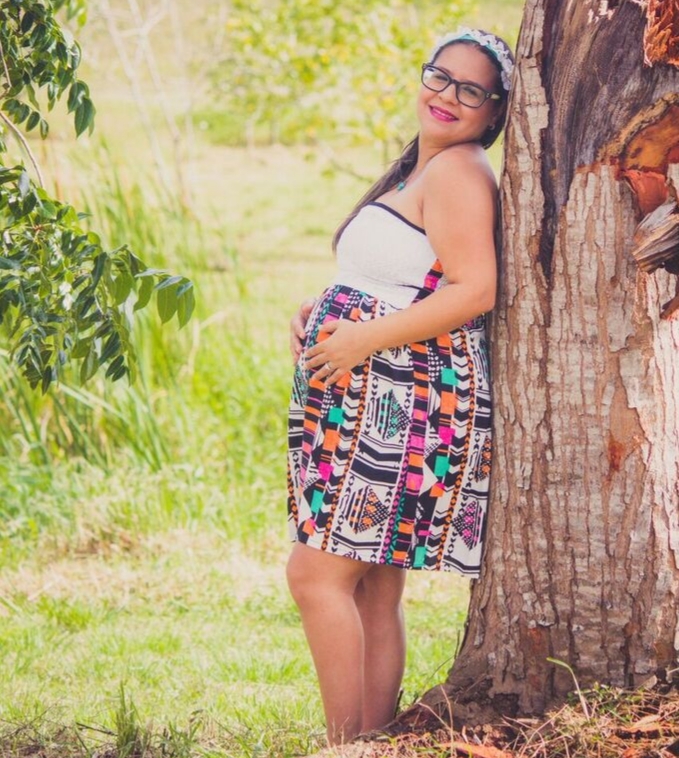 My name is Tayrina and I am the woman behind this blog. Join me in this journey to see God’s purposes fulfilled in our lives. ​© His Purpose In Me – 2019. Unauthorized use and/or duplication of this material without express and written permission from this blog’s author and/or owner is strictly prohibited.